Is a Global Commonwealth our Natural Destiny? Globcal International knows that globalization is the basis for the founding of the United States and most of Latin America, because it is clear in history. We also see that people today want to refuse to accept this as their destiny or connect all the dots when all they need to do is understand history and the state of the world in its most obvious form. It is taking so long to see a civil system because corruption and power have been exploited under political and economic systems that entered the fold which have fouled the ideals and distorted their purpose to create a peaceful civil order of fair and just government, like the forefathers of the Americas conceived. Let's understand the creators of the original ideals. John Locke, the Father of Liberalism, was responsible for the most of the philosophic thought that led to the revolutions in the Americas from 1776-1825, his philosophy is also responsible for the globalization movements of today. His influence is embedded in law and our daily lives, thanks to John Locke we created property ownership, but we also abused the principles he taught without understanding the big picture. In a time of globalization, when the world is becoming increasingly interconnected and the sovereignty of the nation state is sometimes challenged by a growing number of regional and international institutions, scholars and academics are looking for ways to make sense of these new phenomena and for ways to tackle the problems that coincide with these changes. While these trends represent new challenges to international relations, by drawing on the ideas of past influential thinkers and adapting these concepts to current circumstances, it is possible to gain a better understanding of the subject matter. The focus of this essay will be on “the founder of philosophical Liberalism” (von Leyden 1956: 23), John Locke, and the impact of his theory regarding the State of Nature in the international system on the analysis of present day international relations. To this end, a brief outline of Locke’s core principles and ideas will be given, in order to provide the necessary background for the subsequent discussion regarding the possibility of a ‘Global Commonwealth’. As a natural philosopher by profession, Locke argued that all humans were born of equal ability and that we may suppose that “the mind to be, as we say, white paper, void of all characters, without any ideas” (Locke 1690: Book 2, Chapter 5, Paragraph 2) and that hence all knowledge is acquired and shaped by an individual’s environment and experiences. These two notions directly relate to the assumptions of the State of Nature, the Law of Nature, the idea of a ‘Social Contract’ and the notion of Property, which Locke holds about the individual, states, and the realm of politics. In reference to the individual, Locke defines the State of Nature as “a State of perfect Freedom to order their Actions, and dispose of their Possessions, and Persons as they think fit, within the bounds of the Law of Nature, without asking leave, or depending upon the Will of any other Man”. In the international arena, “the definitive demonstration of the existence of the state of nature is the permanent condition of international relations.” (Ward 2006: 693). The State of Nature, according to Locke, thus exists wherever individuals or commonwealths find themselves without a superior governmental authority to which they have surrendered their rights in the hope of finding a “sanctuary from the anarchic condition” (Cox 1960: 106). Although Locke’s notion of the State of Nature has been described as an “anarchic condition” (Cox 1960: 106), this does not imply that it is completely lawless and that chaos is the rule. Quite the opposite: Locke asserts that “The State of Nature has a Law of Nature to govern it, which obliges every one: And Reason, which is that Law, teaches all Mankind, who will but consult it, that being all equal and independent, no one ought to harm another in his Life, Health, Liberty, or Possessions” (Locke 1988: 271; emphasis added). However, Locke does point out one obvious defect which persists even beyond the fact that a Law of Nature exists, and that is the lack of an executioner and a judge of this Law and hence “the Execution of the Law of Nature is in that State [the State of Nature], put into every Mans hands” (Locke 1988: 271). This, he then admits, could obviously lead to one-sided and inequitable judgements and thus highlights one of the “Inconveniences of the State of Nature” (Locke 1988: 276), which will be explained in more detail later on. The “Remedy for the Inconveniences of the State of Nature” (Locke 1988: 276), according to Locke, is a Civil Government that is established through a ‘Social Contract’, a “Compact […] of agreeing mutually to enter into one Community, and make one Body Politick” (Locke 1988: 276-277). Apart from offering relief from “the Inconveniences of the State of Nature” (Locke 1988: 276), the formation of a ‘Body Politick’ also provides for the protection of an individual’s property, since, according to Locke: “Government has no other end but the preservation of Property” (Locke 1988: 329). The concept of property was very important to Locke. In his second Treatise, Locke devotes the entire Chapter five to ‘Property’, the ways of acquiring it, limitations to an individual’s property and the protection of it. The essence of his analysis is that, although in the State of Nature the Law of Nature “willeth the Peace and Preservation of all Mankind” (Locke 1988: 271), there is no actual security like that which a government would provide, as well as no common judge enforcing a law that is binding for every member of that society. Now that the most important notions of John Locke’s political philosophy – outlined in his ‘Second Treatise of Government’ – have been briefly explained, the discussion may turn to the question posed at the beginning, of whether it is possible or, rather, desirable for states to, like individuals, decide to leave the State of Nature and form a ‘Global Commonwealth’. For the purpose of this essay, the term ‘Global Commonwealth’ refers to a global union wherein all states transfer their individual rights to a collective government of the majority, composed of a legislative that constructs- and an executive that executes the common law. Whether, or to what extent Locke meant to propose a political philosophy that was also applicable to the international realm has often been contested. Lee Ward has put it excellently when he said that “International relations were not the primary focus of his [Locke’s] work, and foreign affairs is treated less systematically by Locke than other modern political philosophers” however, “his [Locke’s] relatively modest reflections on international relations merit more attention than they have historically received” (Ward 2006: 691). Further, it will be shown that even if one does not find many explicit prescriptions for the international realm in Locke’s work, a “Domestic Analogy” (Ward 2006: 694) can in many instances be drawn between the level of the individual and the state. The most obvious incentive why states would agree to unite with each other under the government of a ‘Global Commonwealth’ is identical to that, which drives individuals into Civil Society – alleviation of the “Inconveniences of the State of Nature” (Locke 1988: 276) achieved in the ‘Body Politick’. In the international State of Nature, there is no security to be found, since “the very nature of relations among sovereign commonwealths leaves little room for choice as to whether a government will or will not engage in the general competition for power and advantage” (Cox 1960: 178). Hence, states are living in constant danger of conflict or war and the enjoyment of their perceived freedom at any time is also limited, as Margaret Spahr put it: “No civilized nation is free to do whatever it wants to [in the State of Nature] without regard to the rights of other nations” (Spahr 1945: 353). This notion of every nation enjoying certain rights, even in the State of Nature, refers back to the concept of the Law of Nature, governing this state of affairs. 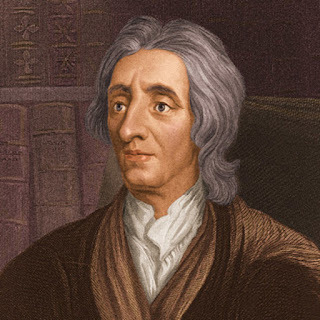 Moreover, as well as equipping states with certain rights, the Law of Nature – according to Locke – should also provide some form of justice and guidance within the State of Nature. However, Locke once again points out a defect inherent in the lack of a central, common government: “great robbers (…) are too big for the weak hands of justice in this world [a world in the State of Nature], and have the power in their own possession which should punish offenders” (Locke 1988: 386). In that sense, Locke very much follows in Thucydides’ footsteps, focusing on ‘Power Politics’ and acknowledging that without a common superior to enforce the law, the strong will overpower the weak in the State of Nature. Hence, to say it in the words of Margaret Spahr, it thus far seems like “liberty is more effectively enjoyed in a civil state and sovereignty in an international organization” (Spahr 1945: 354). Up to now, it would seem like the creation of a ‘Global Commonwealth’ would be in the states’ interests, as this would alleviate the “Inconveniences of the State of Nature” (Locke 1988: 276) and thus make the relations between states more secure and predictable, since every state would be subject to the same supreme government, the same laws and a common judge enforcing these. However, some important sides to the argument have been left out and in what follows it will be shown that, if one takes into consideration all aspects to this discourse, a ‘Global Commonwealth’ is neither feasible nor necessarily desirable for all states. David Boucher suggests that the human condition is “necessarily social” (Boucher 1998: 170) – but does this hold true for states as well? Richard Cox seems to strongly disagree when he claims that states are “dissociated by nature” (Cox 1960: 139). One important incentive that Locke stresses again and again as to why individuals join to form a Civil Society is that of the feeling of commonality, he seems to suggest that individuals are drawn to form a society with people with whom they associate themselves. When applying this criterion of a “deeper moral and social reality that pre-exists and emphatically outlives the dissolution of any particular government” (Ward 2006: 698) to the idea of a ‘Global Commonwealth’, it becomes obvious that whilst this may hold true for parts of the world – the European Union being a case in point, where states that share certain interests have joined to form a Union – this is impossible to achieve on a global level. Moreover, Lee Ward claims that “Independent commonwealths […] are, and ever will be, the primary actors in the international arena” (Ward 2006: 694) and that they possess an “inherent right of self-government” (Ward 2006: 692) and can hence never be subjected to any superior form of authority, such as a ‘Global Commonwealth’. Whilst these are two very strong arguments against the creation of a ‘Global Commonwealth’, one must not assume that Locke rejects the entire idea of cooperation or government beyond state level entirely. According to Lee Ward “he [Locke] envisions a basis for international norms derived from natural law and convention that regulates conflict and cooperation among independent societies in a broader international society” (Ward 2006: 692). Locke regards such Leagues and Alliances as a good means to settle affairs “by positive agreement” (Locke 1988: 299). They offer a way through which one might not be able to completely alleviate the dilemma of the State of Nature, but nevertheless significantly improve the states’ condition in it. There are numerous examples of such Leagues, Alliances and Treaties to be found nowadays. This seems to only prove the point that in a world of sovereign, self-governed states this represents an effective compromise between the extremes of a State of Nature of insecurity and fear on the one hand, and a ‘Global Commonwealth’ uniting all states under a ‘World Government’ on the other. All in all, using the assumptions of John Locke regarding political philosophy, it has been shown that even though the possible rewards stemming from the creation of a ‘Global Commonwealth’ – namely the alleviation of the “Inconveniences of the State of Nature” (Locke 1988: 276) – would be desirable, its establishment is in fact impossible. The grounds on which to build this ‘Global Civil Society’ are simply not given, since essential commonalities in national interest and culture can never be achieved on a global level. However, it has also been argued that maybe we need to try and not see international relations as black and white – as either being in the State of Nature, a state of anarchy, or in complete harmony in a ‘Global Commonwealth’ – but that we should rather try and adopt a “multidimensional conception of international society” (Ward 2006: 692). Instead of trying to make it one or the other, Richard Cox suggests that we should ask ourselves: “what are the specific conditions under which those ends [improvement of conditions in the State of Nature] would be most effectively realized?” (Cox 1960: 111-112) and then try and gain a better understanding of international relations from there.